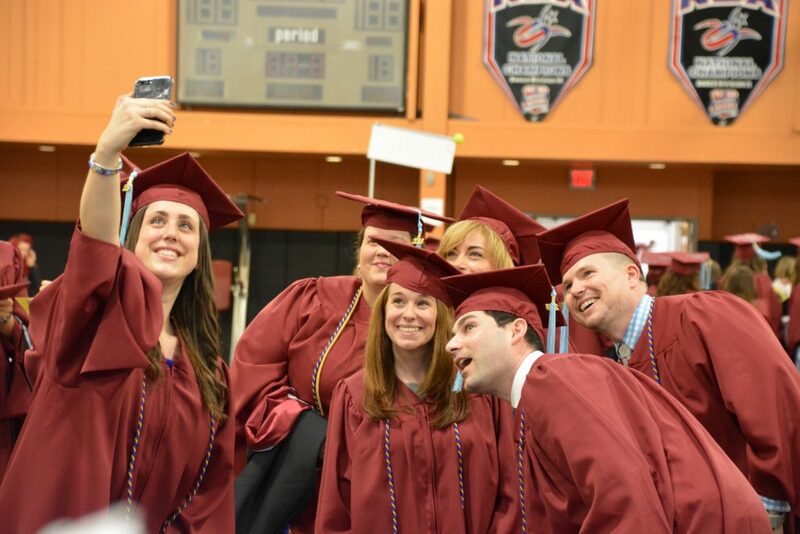 Ramapo College’s Graduate Programs Commencement ceremony will be held on campus in the Arena of the Bill Bradley Sports and Recreation Center on Thursday, May 23, 2019. Directions and parking information is available below. Doors will open at 4:00 p.m. The ceremony will begin with the academic processional at 5:15 p.m. All patrons are subject to a screening and bag check upon entry into the building. Balloons, beach balls, confetti, and noisemakers are not permitted. During the ceremony, the name of each graduate will be announced while on stage. 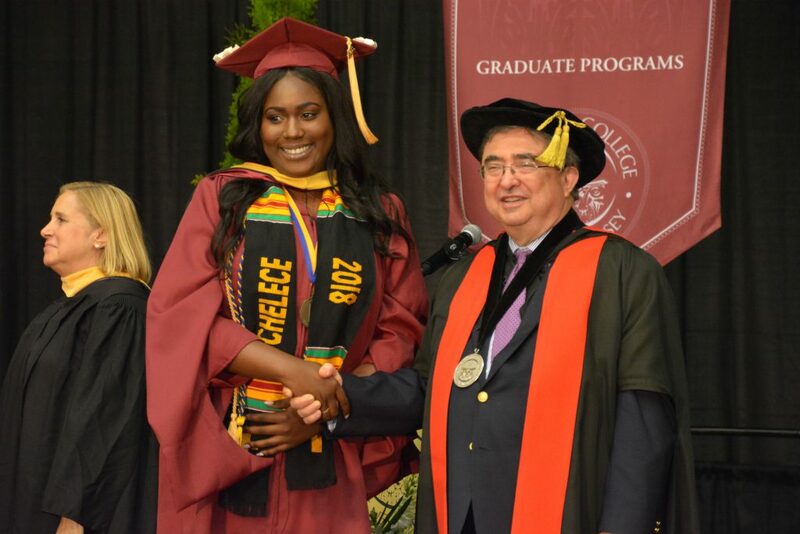 The School Dean and Graduate Program Director will place the hood (included with the graduate’s academic regalia) over the head of the graduate. This signifies the graduate’s success in completing their respective program. Graduates must report to Bill Bradley Sports and Recreation Center at 4 p.m. and should proceed to the entrance of the building that is across from the McBride House. You will be directed to the appropriate area to pick up your reader card and line-up. Graduates should put their cap and gown on before leaving their car. Hoods should be carried by the graduates. Graduates may sit with their friends and classmates within their specific Graduate Program. The ceremony is expected to last 2 hours. After the ceremony, graduates will be directed to exit the building and meet their families outside on Cherry Lane. Doors to the Bill Bradley Sports and Recreation Center will open at 4 p.m. Guests should proceed to the entrance of the building closest to the A-D parking lots. Guests will need to bring their tickets. Seating for guests will be on a first-come, first-served basis. Guests will be directed to sit in the bleachers. Guests requiring special needs will be accommodated in the back rows of the arena floor. Staff will be available to assist you. Concession stands will have beverages and light snacks available for purchase. These are permitted in the arena. The ceremony is expected to last 2 hours. After the ceremony, guests will be directed to exit the building and meet their graduates outside on Cherry Lane. Tickets are required for all guests to enter, including infants and children. Graduates do not need a ticket. Each graduate student will be able to obtain up to four tickets for his/her guests. Graduates are encouraged to take only the number of guest tickets they will actually need. Tickets will be available for pick-up from Roadrunner Central from April 18-30. Roadrunner Central is located on the 2nd floor of the Scott Student Center (across from the Campus Bookstore*). Roadrunner Central is open from 10 a.m. to 10 p.m. Monday through Friday and from 11 a.m. to 3 p.m. on weekends. A photo ID will be required when picking up guest tickets. Graduates may NOT pick up tickets on someone else’s behalf. While at Roadrunner Central, graduates will have the opportunity to request 1-2 additional guest tickets. Starting on May 1, all requests for additional tickets will be reviewed; and if space allows, requests for additional tickets will be accommodated. Graduates will be notified via email. *It is suggested that graduates pick-up their tickets when picking up their regalia (cap & gown) from the Bookstore. 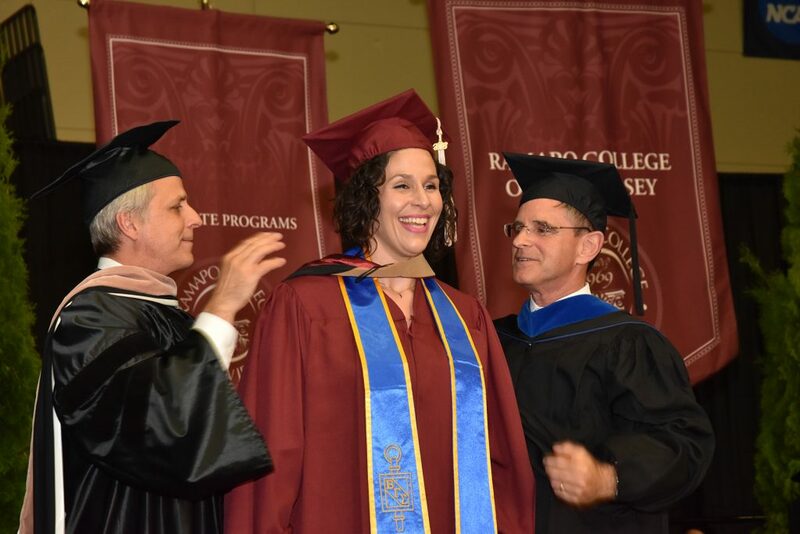 Click here for directions to Ramapo College. Parking will be available in the A-D lots. Handicap parking for those with State issued Handicap placards will be in Lot A-1. A drop-off area will be available directly outside of the Bill Bradley Sports and Recreation Center. You will need to use the North entrance (across from the baseball field) to campus. 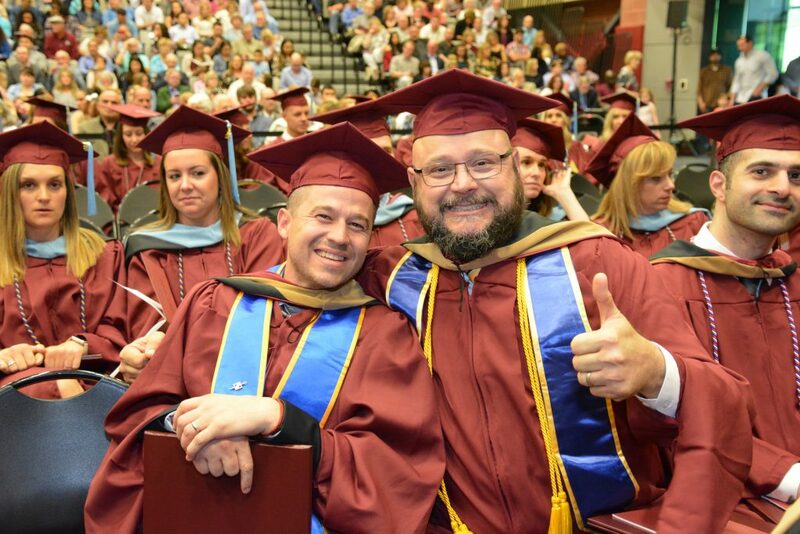 The 2019 Graduate Programs Commencement Ceremony is for master’s candidates who will complete their requirements in January 2019, May 2019 or August 2019. Participation in this ceremony does not guarantee graduation. Graduation depends solely on the satisfactory completion of all College academic requirements. For more information, please visit the Graduation Office webpage.